Visit our working farm just one mile east of Donnellson, Iowa, where we feature over 175 varieties of pumpkins, squash, gourds, and ornamentals at our roadside open air market. To plan your next day trip to the beautiful Iowa countryside, browse our website to see all the family activities we have happening at our Patch: 10-acre corn maze, 10-acre pick your own pumpkin patch, Harvestville play area for kids, corn pool, rubber ducky races, obstacle courses, trike tracks, horse drawn wagon rides, gift shop, and much more! We’d love to see you and your family, host your next educational field trip, group event and/or corporate event. We also welcome bus tours, family reunions, birthday parties, and church events. So contact the Patch when planning your next event! 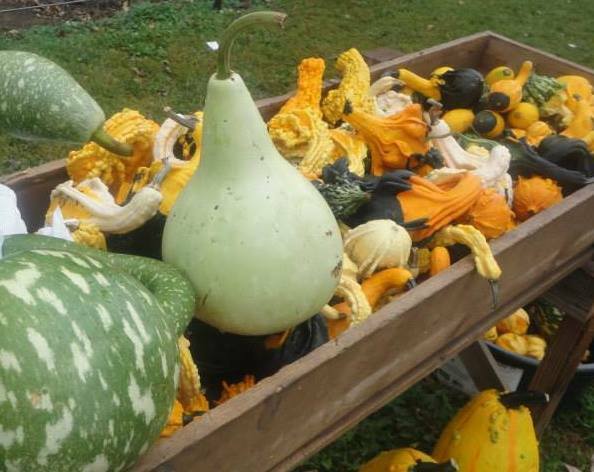 Our Mission: To provide a fun, safe, educationally based rural fall festival experience for families by offering unique hands-on agricultural related activities, food, and an outdoor market featuring our homegrown pumpkins, squash, gourds, and ornamentals. What started as a hobby in 1999 has grown into a business for our family. 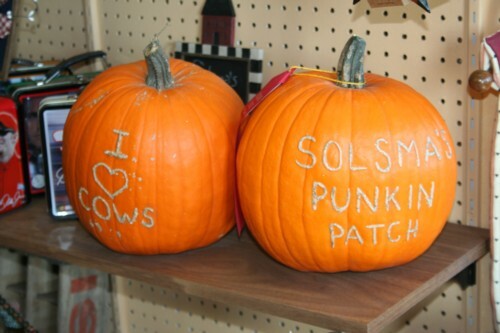 Solsma's Punkin Patch is a great place for a fun fall family outing! When it comes to fall, we have it all! Fall produce, gourmet popcorn, corn maze, country store, and good fun are what you'll find. Our patch has grown every year and we enjoy meeting new friends from all over the country. In 2008, we had visitors from 29 states and 3 foreign countries. Our goals are to provide a great product from Iowa, whether it be a pumpkin, our famous Ruby Red Popcorn, our home raised Hereford beef, or any of the other great Iowa products we sell. You won't find a better family Halloween experience than the one you will find at Hawk Valley Garden! We pride ourselves on our ability to make Halloween fun for everyone in the family - from young to old! Hawk Valley Garden is family owned and operated roadside pumpkin stand that opens first week of September.....just in time for the annual Clay County Fair. We are open all week for the Clay County Fair and our hours will be 8:00 am to 8:00 pm for all you fair goers.Stop by and see all our great pumpkins. We also carry over 35 kinds of winter and summer squash for all your baking needs. Other items include indian corn, broom corn, bales of straw, colorful mums, and thousands of smaller gourds and mini pumpkins. Take a stroll through the corn maze, play on the bail and tire maze, human hamster roll, and lots of fun in the corn box. 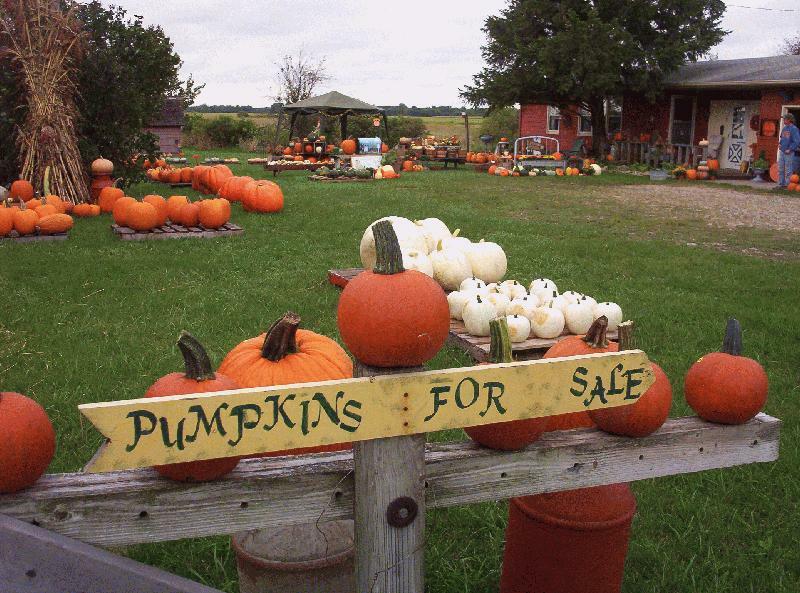 Good assortment of pumpkins, gourds, squash, ornamental corn, and lots of fall/Halloween decorations to purchase. You must try Mom's Baked Goods-pies, bars, and bread made from our very own Pick-a-Pie pumpkins. Find the best Halloween attractions in Iowa, pick your own pumpkin patches in Iowa, corn mazes in Iowa, Halloween hayrides in Iowa, and Halloween events that include attractions like face painting, face painting, pony rides, inflatables, Halloween hayrides, and places you can go and pick your own pumpkins in Iowa. Each Halloween hundreds of Halloween events for kids open each year in Iowa. 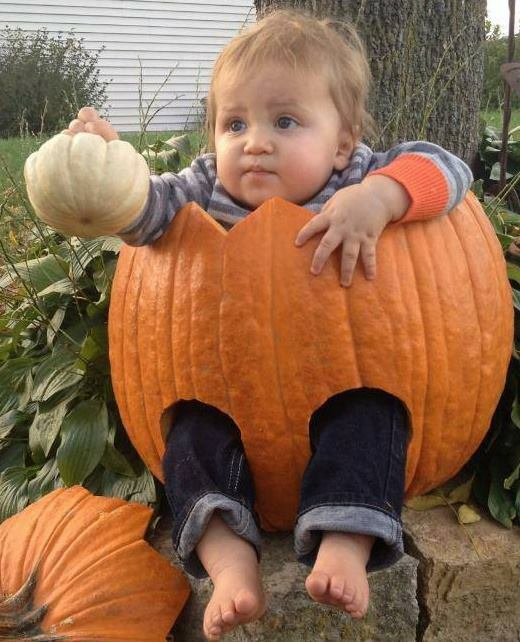 Do you want to pick your own pumpkins and bring the kids where Iowa pumpkin patches includes other events like hayrides, corn mazes and more? Halloween Attractions helps you find simply the best and spookiest Halloween family fun in the state of Iowa. Farmers across Iowa have turned their family farm into massive Halloween events where guests are allowed to pick their own pumpkins, corn stalks, while having a fun Halloween Experience inside one of Iowa's biggest and best Halloween Attractions. Corn Mazes have become a staple attraction inside these mega Halloween Attractions in Iowa where farmers create detailed patterns in a corn field and guests must find their way through the maze of corn. Additionally one of the new traditions inside these Pick Your Own Pumpkin Patches in Iowa is the hayride where guests board a wagon and farmers pull you around spooky sets. Halloween Attractions in Iowa are huge over the top Halloween Family Fun for everyone no matter if you are looking for a Iowa Corn Maze, or Halloween PIck Your Own Pumpkin Patch in Iowa www.HalloweenAttraction.com is the single best source to find everything Halloween this October we want to help you locate all the best halloween events in and around the Des Moines, Cedar Rapids, Davenport, Sioux City, Waterloo, Iowa City and Dubuque, Iowa, areas. If you are looking to find the best Halloween events and more, find everything you need at www.HalloweenAttractions.com. Some Halloween Attractions in Iowa will feature a haunted house for kids in Iowa and or simply a haunted house. Many of these Halloween Attractions in Iowa will run daytime family oriented Halloween Attractions during the daytime and haunted houses at nightime. Make sure you check their website to find out of the daytime events are different than nightime events just in case you have young children. Haunted Houses in Iowa on family farms are simply put another way for farmers to earn additional revenue which in turn helps keep the family farm from going under. Try to support your family farmers and visit their Halloween Attractions instead of taking the easy way out and visiting some mega retail store to purchase your pumpkins. Grab your family video camera and head out to a Halloween Corn Maze in Iowa, and get out there and pick your own pumpkins in Iowa.